Denim is a legendary fabric. Denim is tough and comfortable. Rest assured that someone wearing denim is probably about to get something done. 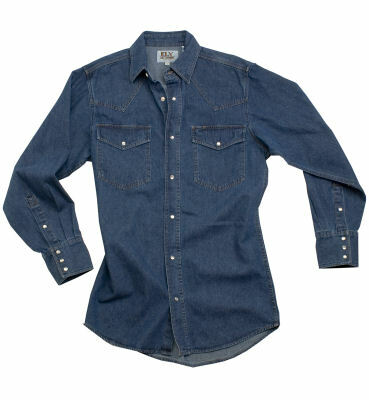 This particular denim shirt is true to the authentic western design Ely is known for. And it'll be almost as tough as the cowboy who wears it. Whether you ride a bucking bronco or a mechanical bull, this is the shirt for you buckaroo. • 100% stonewashed cotton 6 oz. Also a good work uniform for those who put the 'work' into work day.